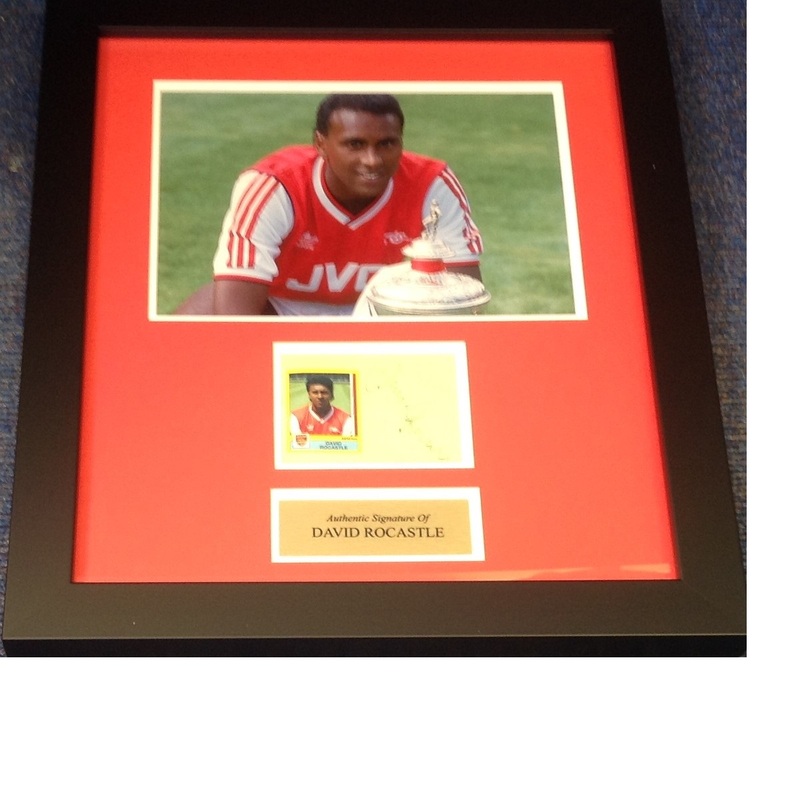 Football David Rocastle 21x18 approx mounted and framed signature piece. 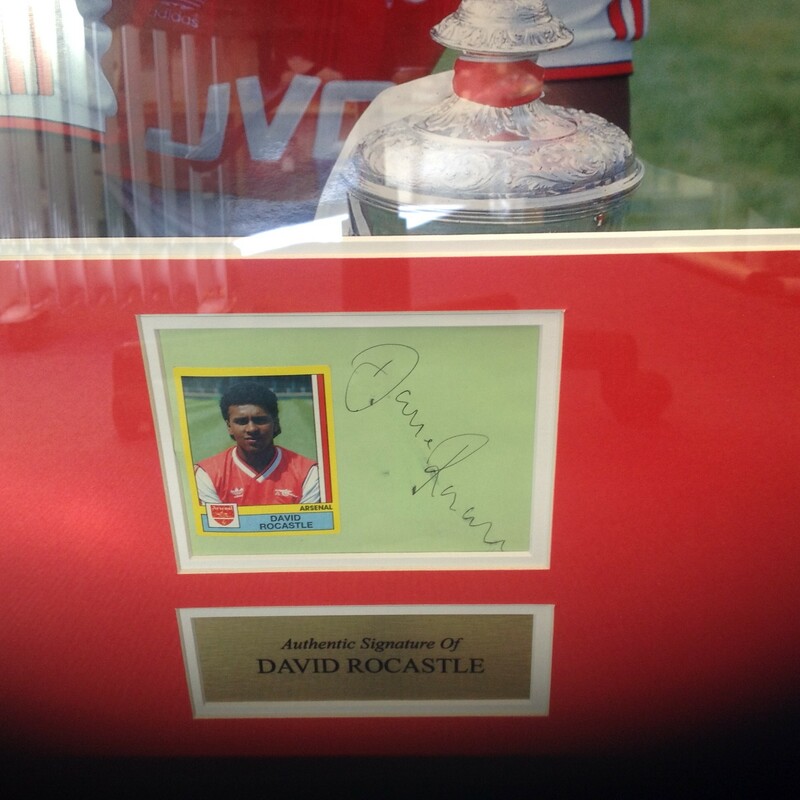 David Carlyle Rocastle was an English professional footballer who played as a midfielder in the roles of a playmaker and a winger. He spent the majority of his career at Arsenal where he was nicknamed Rocky. Rocastle then went on to feature in the Premier League for Leeds United, Manchester City and Chelsea, before later playing in the Football League for Norwich City and Hull City and finishing his career in Malaysia with Sabah FA. Rocastle also played for the England national football team, in all earning 14 international caps for the Three Lions. Good Condition. All signed pieces come with a Certificate of Authenticity. We combine postage on multiple winning lots and can ship worldwide. UK postage from £3.99, EU from £5.99, Rest of World from £7.99.